Want To See Whisky’s Stunning Influence on the Arts? Do Single Malt Cocktails Make Sense? Whiskybits is a lifestyle magazine for the discerning whisky enthusiast. The premise of this magazine is simple; it’s about kicking back and savoring that time of day you set aside for yourself. It’s not much time, but it’s your time, so I will do my best to make your time here at Whiskybits informative, enlightening and hopefully entertaining. With that in mind, Whiskybits is more than reviews and ratings. 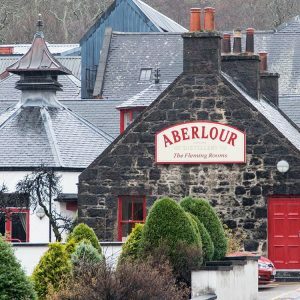 At Whiskybits I delve into the world of whisky; it’s people, places, and culture; past and present. Along the way, I’ll also explore the world of art, music, literature, and travel to further enhance your whisky experience. In other words, “a wee bit of the barley and a “whole lot of the blarney”! Whiskybits is relatively new, and I know I have a long way to go to make this a premier whisky magazine. I also know I can’t do it alone so if you see a way to improve things around here, please let me know, I will appreciate the feedback. In the meantime, please join me on the journey and sit back, pour yourself a dram, and I’ll do my best to help you relax. Water & Whisky – A Do or a Don’t? Flavored Whiskies – Much Ado About Nothing? Whiskybits is always on the look out for a good writer or two to help us develop our collection of posts. If you are interested in submitting a post on any of the category topics please contact us. The drinks are on us! We'd love to have you join our community! We'll do our best to entertain you and bring you the latest news about whisky and the whisky lifestyle.